Rennison Roofing doesn’t just specialize in repairs, we can take heavily damaged roofs and completely replace them with a new and improved version. 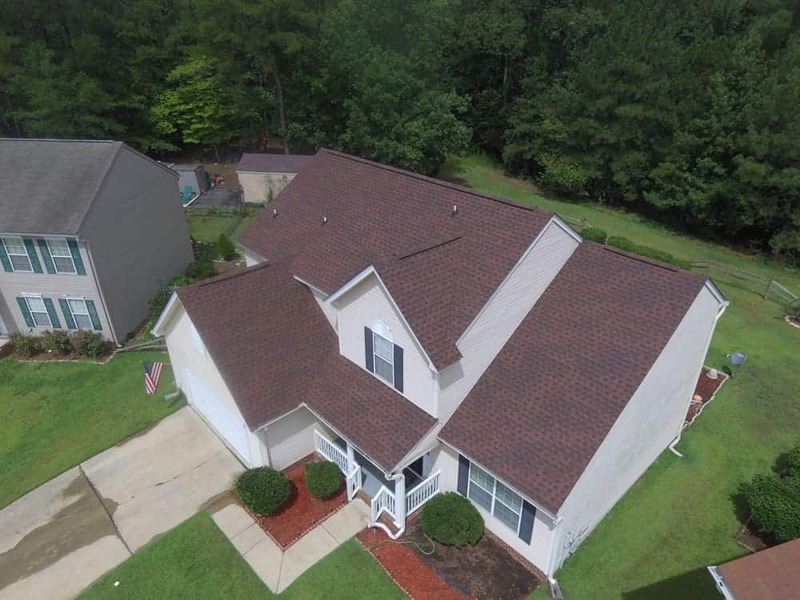 Even better, we will talk with you about what a new roof costs, what kind of timeline and materials will be required, and walk you through the entire roof replacement process. Replacing a roof isn’t an overnight process. There are several steps in place to ensure that you get the best deal you can, with the materials you want, on your schedule. First, we’ll send out one of our Project Manager’s, who are experts in roofing repairs, to provide an inspection of the current roof. This inspection process covers the entirety of your roof, catching any major problems. Once you have agreed to the necessary labor and costs, you then get to pick your new roof for when we start replacing roof shingles. Our shingles are manufactured by GAF Roofing, a trusted partner of ours, with the aesthetics of modern Columbia homes in mind. From the inspection, you will next receive a detailed report and free estimate of the roof repair or replacement. Then, we install. Before the installation begins, we’ll walk you through the entire process, considering your schedule and the structure of your home. We want you to be as comfortable as you can while we take care of the new roof installation. An old roof can be a sore thumb on an otherwise attractive house. Getting a full roof replacement, while also helping to fix any damage to the roof itself, also allows you to reinvent your home’s look with attractive new roofing shingles. We at Rennison Roofing take this into consideration, which is why we partnered with GAF Roofing to offer you the latest in shingle materials and styles. Not convinced? If you want to make the switch to a more attractive roof, but don’t know what that means, check out the GAF Virtual Remodeling Wizard to help you make a decision. 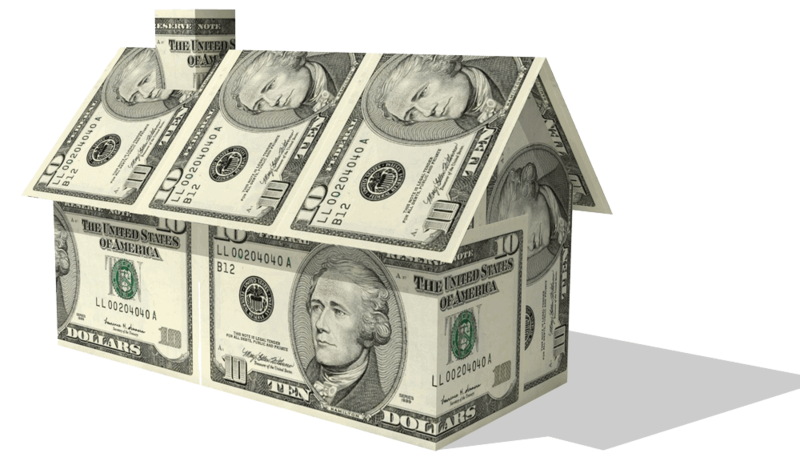 We also know that repairing a roof, especially an extensive problem, can cost some money. And many times, these issues can’t wait until the next payday. That’s why we offer options for financing your roof repair so that you can get your roof replacement taken care of immediately. Spread your payments out over a few months or years if need be and get all the great benefits of the replacement process with Rennison Roofing. If you are replacing your roof shingles, also ask about the possibility of installing some new solar panels. Solar panel technology has come a long way in terms of appearance and energy efficiency. 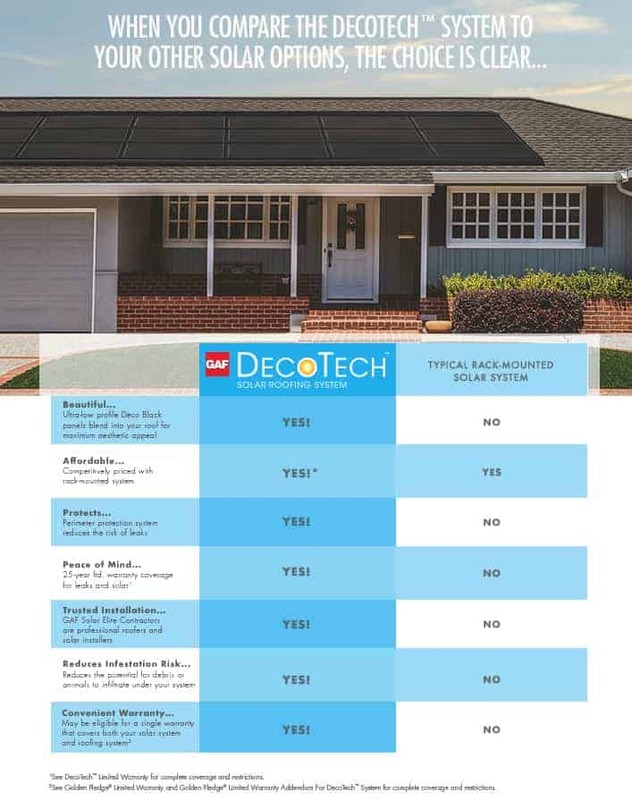 If you decide to go this route, we can work with you to find out if you and your house are ready for new solar technology. With these panels, you can harness the light of the sun to control heating and cooling costs in your home and increase energy efficiency, lowering your utility bills for years to come.